The route and the three pipelines of the Southern Gas Corridor. 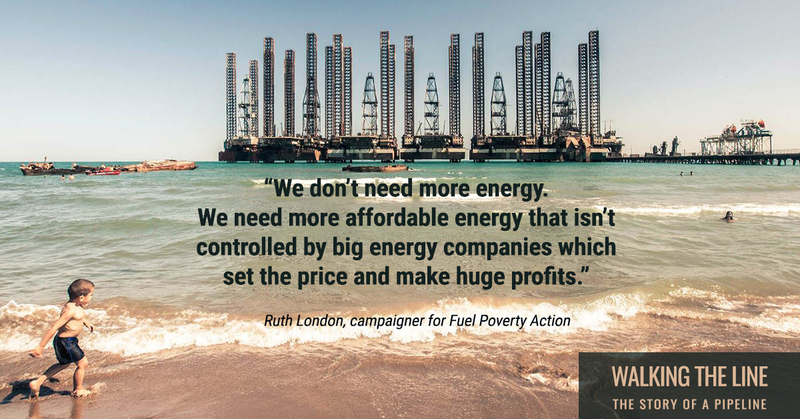 Colossal amounts of public money are being put on the line for a project that would lock in Europe with higher fossil fuel dependence and stranded assets. The European Bank for Reconstruction and Development (EBRD) already approved three loans for the Shah Deniz stage 2 gas field (USD 200 million, USD 250 million and USD 100 million) as well as USD 500 million for TANAP and EUR 500 million for TAP. On top of USD 250 million for Shah Deniz stage II (as part of a package with the EBRD and commercial banks), the Asian Development Bank (ADB) approved in December 2016 an additional USD 1 billion for the Shah Deniz II gas field. The European Investment Bank (EIB) approved EUR 1.5 billion for TAP and EUR 932 million for TANAP. The World Bank approved two USD 400 million loans for Turkey and Azerbaijan for TANAP. The World Bank’s Multilateral Investment Guarantee Agency (MIGA) approved a guarantee of up to USD 950 million for TANAP against the risk of non-honoring of a sovereign financial obligation. 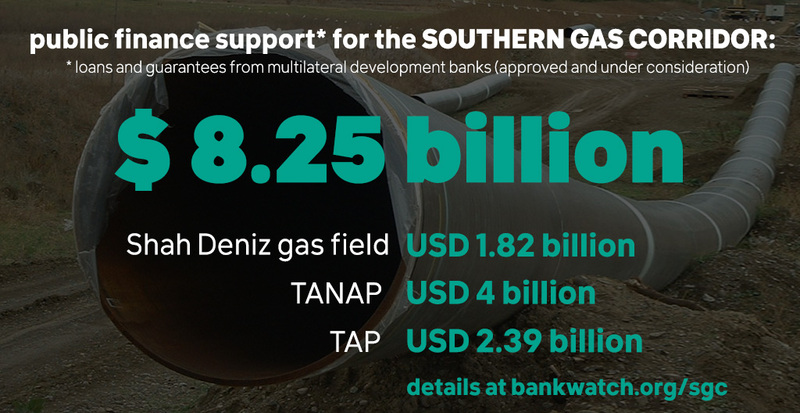 Earlier, already completed loans from the EBRD include support for the Southern Caucasus gas pipeline (SCP) (USD 70 million for Lukoil (2005) and USD 60 million for SOCAR (2004)) and the Shah Deniz gas field (USD 110 million for Lukoil (2005) and USD 100 million for SOCAR (2004)). Both Shah Deniz and the South Caucasus Pipeline are considered parts of the Southern Gas Corridor’s infrastructure as the EBRD’s Managing Director for Energy and Natural Resources, Riccardo Puliti has stated. The pipeline is a key element of the Energy Union, the European Commission’s flagship initiative. TAP could also benefit from financing through the Project Bond Initiative as a Project of Common Interest. 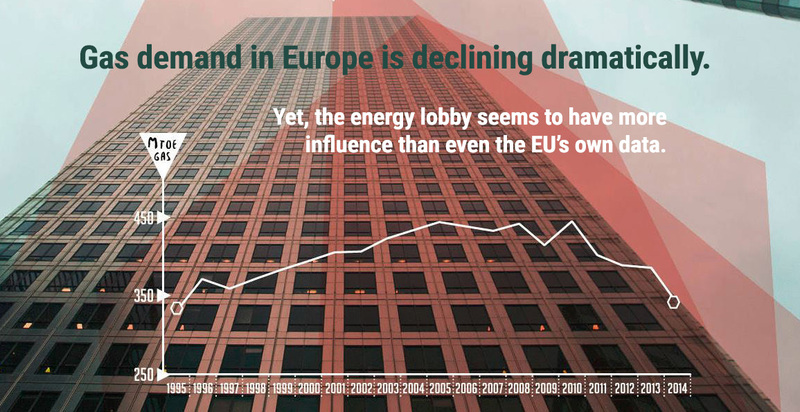 The EU already has an overall surplus of gas import infrastructure. Especially since the 2007 recession, gas demand has significantly decreased (pdf) and is not expected to bounce back until the 2020’s. The European Union’s 2050 Energy Strategy expects natural gas imports to further decrease under all scenarios. The 2020’s, when the pipeline is expected to be operational, should already mark a significant reduction in gas demand according to this roadmap. The Southern Gas Corridor would only widen the surplus in Europe’s gas import infrastructure and likely turn into a liability. Massive new gas infrastructure like this will lock Europe into fossil fuels for decades and will lead to hundreds of millions of tonnes of CO2 emissions. Risky business – Who benefits from the Southern Gas Corridor? No less than 15 firms contracted to build TAP and TANAP, the two main sections of the Southern Gas Corridor, have been implicated in various forms of corruption in the past. The TAP pipeline is supposed to reach land in San Foca in the Melendugno municipality. 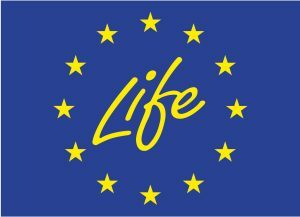 San Foca has received European Blue Flags for not one but two beaches, awarding water quality and environmental management among others. Fearing the destruction of their coastline and negative effects on tourism, agriculture and fishery, local mayors and their constituencies are viciously opposing the TAP pipeline and the risks of accidents associated with the related infrastructure. 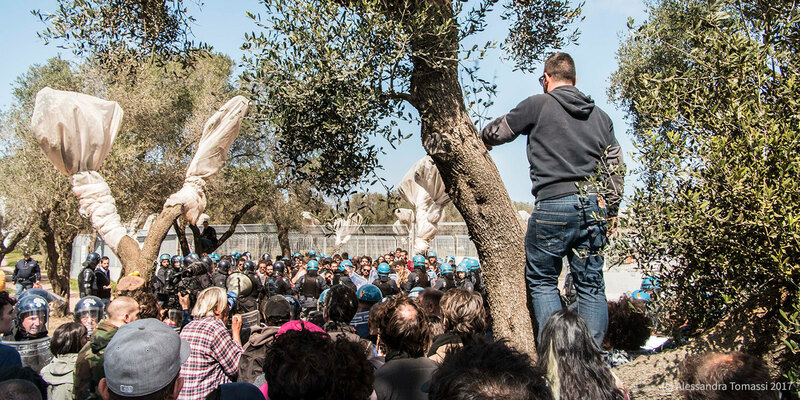 Resistance against the Trans-Adriatic Pipeline has been active for several years in the region. In the spring of 2017 the confrontation with the company escalated. Land acquisition for the pipeline and the compensation of local farmers has led to a number of grievances and irregularities in both Greece and Albania. Some farmers have lost the majority of their income while receiving a pittance in return. 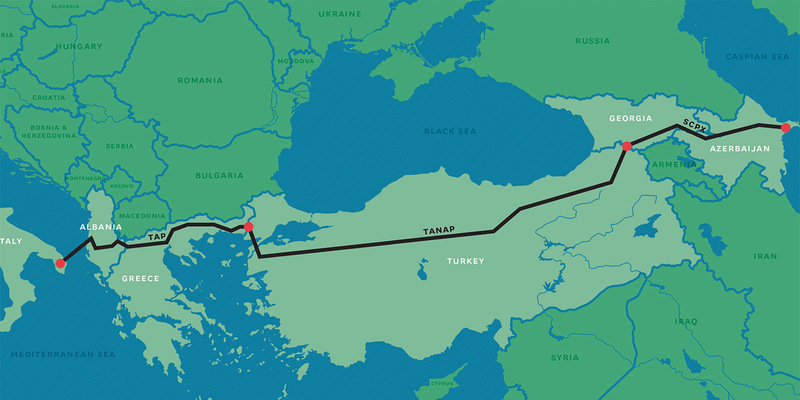 The Trans Anatolian Pipeline (TANAP) pipeline will pass through twenty provinces in Turkey. It will create a high security, militarised corridor across the whole country, with costs estimated at USD 11.7 billion. Although Turkish officials claim that the pipeline will result in higher employment, lessons from the BTC pipeline indicate that locals may rather face loss of land and livelihoods, environmental problems and repression if they dare to protest. Experience a walk along the pipeline and imagine the devastating consequences for people and the environment from Azerbaijan to Italy if the project is built. In Azerbaijan the Aliyev family’s dictatorship has held onto power for the past two decades through a combination of holding fraudulent elections, prosecuting and assaulting critics and curtailing media freedom. During the October 2013 presidential elections almost 150 political prisoners were behind bars in Azerbaijan. The OSCE criticised the elections for failing to meet international standards on free and fair elections. Since summer 2014, ahead of the inaugural European Games in Azerbaijan, unprecedented levels of arrests and attacks on civil society, even by Azerbaijan’s standards, have occurred. By 2015 several renowned human rights defenders have been sentenced to years in prison. The OSCE was ordered by Azerbaijan to close their mission in the country. Critical voices, including the guardian and amnesty international, were banned from covering the European Games in Baku. The EBRD’s founding mandate states that it must only work in countries that are committed to democratic principles. Azerbaijan is proving itself to be the opposite. Without properly functioning democratic institutions, rule of law and effective checks and balances for the president’s powers, investments in Azerbaijan’s oil and gas sector will further cripple democracy in the country. Hydrocarbon revenues provide the Aliyevs with the finance needed to pay security forces and establish a secure income and therefore enabled them to ignore citizens’ voices because they are not reliant on those citizens for a tax base. Before the oil and gas incomes came to Azerbaijan we had more democracy and freedom. The main income from oil came in 2005 when the Baku-Tbilisi-Ceyhan pipeline started to operate. And from that time the situation started to deteriorate. With total revenues of USD 358.7 billion for 2014 alone, British Petroleum (BP) is one of the world’s largest oil and gas companies. Yet, it is also renown for Deepwater Horizon, the largest marine oil spill in history. The State Oil Company of Azerbaijan (revenues in 2014: USD 39.7 billion) is one of the strongest Azeri institutions holding the Aliyev dictatorship in place. SOCAR uses its own paramilitary force to silence journalists. It is known for a general lack of transparency and links to the Aliyev dictatorship. Lukoil is the second largest Russian oil and gas company (revenues in 2013: USD 141.5 billion). 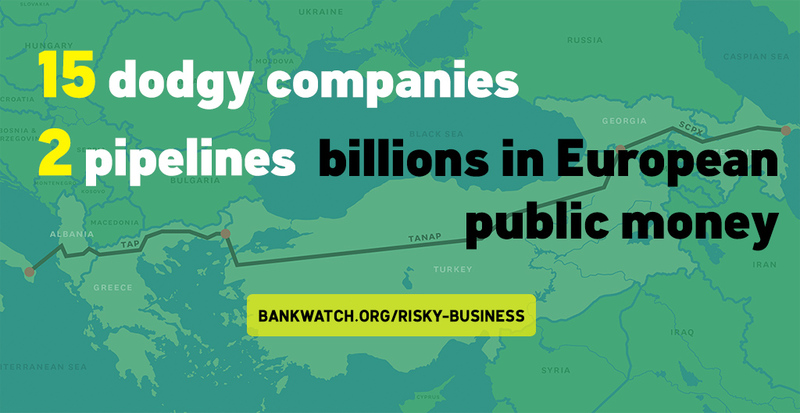 Apart from the problem of entrusting a Russian company to diversify the EU away from Russian gas, Lukoil is responsible for numerous oil spills and accidents in Russia, while receiving money from the EBRD. The aim of this study is to quantify the fugitive emissions produced along the fossil gas supply chain of the Southern Gas Corridor, focusing on extraction and transmission operations. 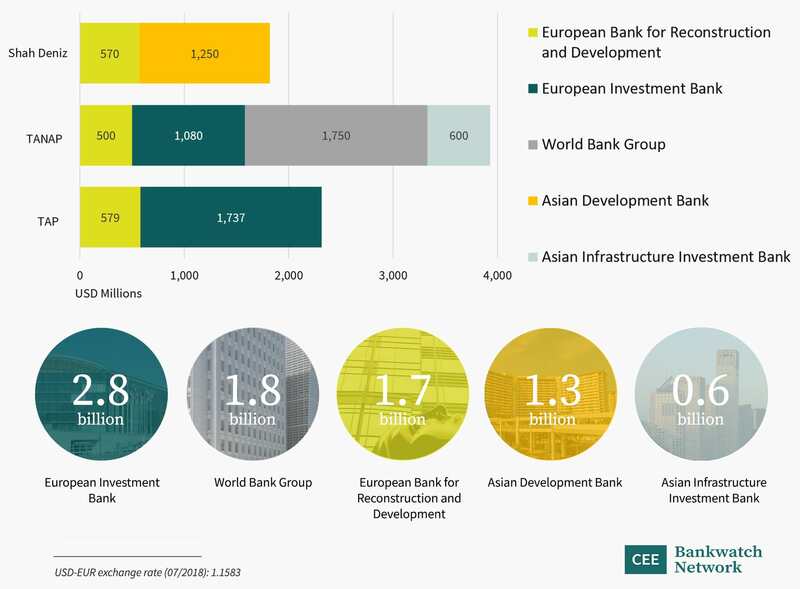 Despite commitments to help address the climate crisis, the European Bank for Reconstruction and Development awarded fossil fuel projects EUR 4.05 billion between 2010 and 2016 – more than double its support for renewable energy during the same period.